Coming Up – Alan’s Grand Finale! Yes, that time is drawing near. 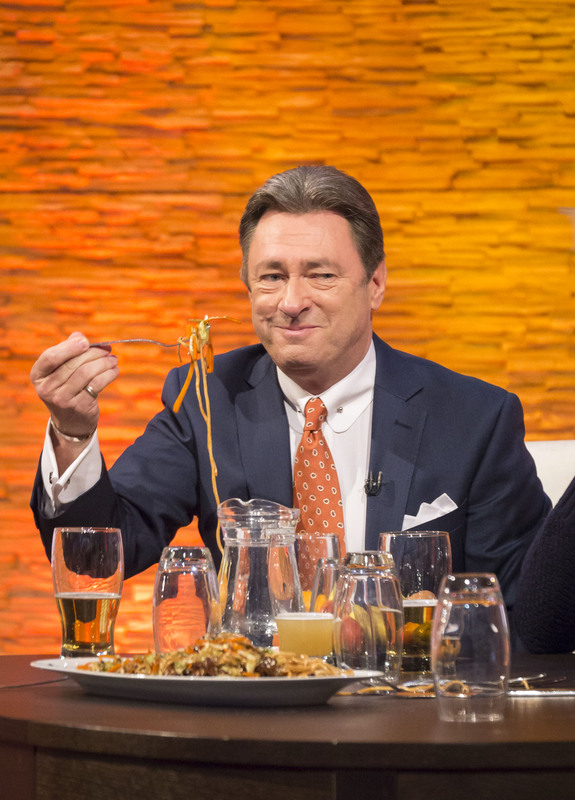 The inimitable Alan Titchmarsh has decided to say good bye to his daytime TV show after 8 years and 15 series, but fear not – there’s still one final week with our favourite presenter on ITV weekdays from 3pm. All next week we feature some real Icons of Entertainment specially invited into the studio to join Alan as he heads towards his grand finale. Alan also looks back at some of the most memorable moments in his eight years of presenting the show. 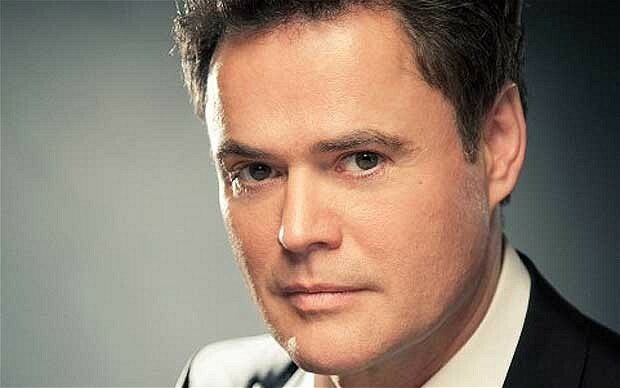 Monday 10th Nov: Donny Osmond is our special guest along with the actress and author Sheila Hancock while Alan’s old friend and chef the outrageous Rosemary Schrager joins to create the last recipe of the series. Naturally we’ll be getting Donny to sing for you! 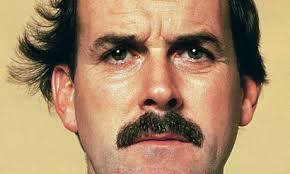 Tuesday 11th Nov: Alan talks to the King of Comedy John Cleese about dead parrots, expensive wives and what makes people laugh. Singing star Lulu also joins and florist to the stars and the royals, Simon Lycett, creates a floral flourish for Autumn. Wednesday 12th Nov: It’s a special “Terry & June” show with the legendary Sir Terry Wogan in the studio along with the Absolutely Fabulous actress June Whitfield. Dr Phil Hammond puts Alan to the test in his own unique and entertaining health examination. 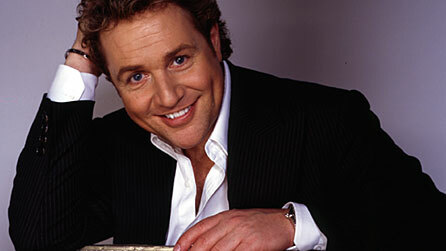 Thursday 13th Nov: One of the nation’s favourite entertainers Michael Ball will be in the host seat and to deliver a song from his new album. Adventurer Ben Fogle gets more than he bargains for when he is put head to head in a series of domestic challenges with Alan. Friday November 14th 2014 ***MARK THIS DATE IN YOUR DIARY*** It will be Alan’s very last episode of The Alan Titchmarsh Show and he’s got a very special surprise up his sleeve for his grand finale. 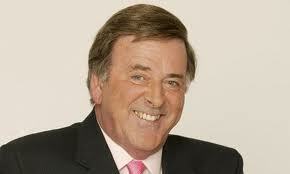 Alan has promised to sing a song from a classic West End musical just for his fans and viewers – it will be a TV first! Also joining him with more surprises are the legendary chat show host Des O Connor and the amazing voice of Katherine Jenkins. DON’T MISS THE PARTY 3pm Weekdays ITV! 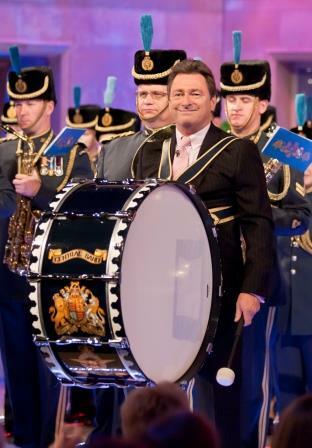 Would you like to be involved in The Alan Titchmarsh Show next week? Do you have any wildlife questions for our expert? Do you need help identifying a bird or wildlife sound? Is your garden overrun with slugs? Email your photos and questions to Hayley.Morrey@spungoldtv.com and we’ll be answering as many as we can on Monday’s show. Have you got crow’s feet? Or lip lines? Or is your skin constantly dehydrated? We are looking for viewers who are available this Monday to come to the Titchmarsh studios in London for our “Aging Skin Clinic”. You should be up for having your face scanned/discussed during the show and to have a treatment! Does your man need help in the underwear department? We’re studying male underpants this week with a review of the best and the worst. Got any photos of dodgy y-fronts or got a question for our stylist? Let us know alan@itv.com. 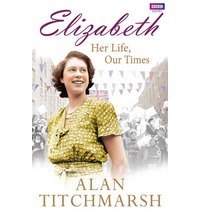 Alan will be appearing at a book signing at Portsmouth Cathedral October 10th with his latest publication Elizabeth: Her Life Our Times A Diamond Jubilee Celebration. Yes, we’re back in the hot seat and the final (sob!) 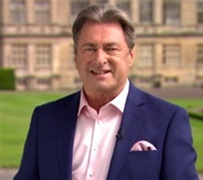 series of The Alan Titchmarsh Show launches on Monday 8th September at 3pm live on ITV. Never “The Diet Starts on Monday” – we’re going all out to tempt the sweet tooth! We’ll cover everything from sugar sculpture to intricate cake decorations. From domestic pets to British and more exotic wildlife we bring the latest animal news, advice and information, whether it’s bird-watching or fox hunting, pooch pampering or the secrets of your cat’s night life. Our very clever scientist explains the stories behind the science headlines with potentially explosive demonstrations in studio. And we investigate the science behind everyday objects we take for granted – from the light bulb to the humble toaster. We also want YOUR questions for our science & technology team – however challenging. (Do you really get cold feet when you are anxious?) . Send them to alan@itv.com. Are women better at observation and empathy than men? Are men really superior at map reading? We set out to resolve the ultimate battle through a variety of entreating challenges with our celebrity guests. Want to tell us what you think? Email us at alan@itv.com. What does it take to live longer (and healthier). Over the series we present the ultimate Top Ten Tips for Longevity and explore the truth behind the contradictory advice so often pedalled in the press. Alan’s Problem-Solving Panel. No dilemma is too daunting for our panel of experts in Life. What is the meaning of life? What is the secret of Happiness? Fascinating real life stories from the past from rebellious young royals of old to the real history of the Downton era and WW1. Style File. A weekly roundup of news, views and research in the world of fashion, beauty and hair, from the latest techniques for thinning hair to the art of good grooming. We’re digging out seasonal produce from the garden allotment or farmers’ market, and handing them over to our chefs to create tasty, nutritious recipes. Wine expert Helen McGinn adds the drink to the feast, at the same time giving a rundown of that week’s best buys. Remember The Golden Shot and Give Us a Clue? With ITV’s 60th anniversary coming up we take the opportunity to look back at some of the most popular quiz and game shows of old..
We had so many enquiries about where this dress came from that we decided to give it it’s own post. Week 1 – We’re back in business! Hello everyone – it’s great to be back in the studio again – the roar of the greasepaint and the smell of the crowd etc. Our teams have been working hard to bring you a fabulous mix of interesting items, regular features and top celebrity chat. In our first week, we’ll be meeting Mark Benton, fresh from rehearsals on the Strictly Come Dancing Live tour. Eagle eyed viewers may actually spot that Mark will be missing from the final part of the show as he has to hot- foot it back to Wembley for a performance this evening. Also joining us today will be Paul Hollywood, kneading us into shape and letting us prove under a damp teatowel while he makes a tasty sausage plait. Tuesday brings our regular pet feature with the Barking Blondes Jo and Anna and some more weird and wonderful animal antics. Guests include Stephen Tompkinson and Olympic gold medal winner Victoria Pendleton, whilst on Wednesday we’ve got Meera Syal (The Kumars) and ex-Genesis guitarist Mike Rutherford. On Thursday actress Pauline McLynn – you may know her as Mrs. Doyle from Father Ted, Joe Pasquale (no introduction necessary!) and Tim Healy (the cross-dressing Les/Lesley from Benidorm) are sure to cause a stir in the studio and rounding off the week on Friday we have Pam Ferris (Call The Midwife), food writer and cook Lorraine Pascale. Add to this a host of entertaining and informative features and top it off with a live performance of Seasons of Love by Kerry Ellis and the cast of Rent and that, ladies and gentlemen, is week 1 in a nutshell. I hope you can join us for some, if not all of it! I hope the festive season brought all that you wished for – bulging stockings, a plump juicy turkey and plenty of joy and goodwill to go round (you know, the kind that comes in handy when playing charades for the 12th time). It’s back in the studio for the teams next week at Titchmarsh HQ, and it’s all systems go. We have three teams who cover the week, all doing two shows a week (we pre-record some shows as some of you regulars will know by now). So working on the show means you’ve really got your work cut out for you – there’s no leaning on your spade here and having a chat over the allotment fence, it’s put-your-back- into- it and seek those stories out, get the features researched, guests booked, travel sorted, props sourced, and if you’re lucky you might be able to look up from your computer screen for long enough to peer at the clock and wonder how on earth it can be 9pm already. We handpick our teams and they always do a fantastic job. There is usually a mix of some new faces, eager to jump on the treadmill of a daily live telly, and – even stranger – some faces who have worked on the series before and yet seem to want to come back for more. I guess it can’t be all that bad then, can it? Our regular features are all back by popular demand, including Consumer, Health, Pets and our life-changing Makeover segment. If you’d like to contribute to any of these items, make sure you follow us on Twitter and Facebook as this is how we let you know what the teams are looking for in terms of guests/appearances etc. You can join in the fun in person without being on the telly by being in our audience – contact www.sro.com for details of tickets. Shows are recorded at ITV Studios on the South Bank during the day. We film two shows a day and you even get a half time juice, courtesy of the lovely audience ushers. And if you don’t wish to contribute or come along to the studios, you can simply snuggle up on the sofa and enjoy the show from the comfort of your own living room – now hopefully calm, peaceful and charade free! Back on 20th January 2014 – 3pm, don’t miss it! Alan’s brand new antiques based game show, Masterpiece, was featured in The Mirror! If you would like to meet Alan, be on the show and win a cash prize, this is your final opportunity as the closing date is tomorrow. We are looking for pairs of contestants so whether you’re friends, colleagues, siblings or mother and daughter, we want to hear from you if you’re up for a challenge on this exciting new show! You don’t have to be an expert on antiques but a genuine interest would be most helpful. Email antiquesgameshow@spungoldtv.com right now for an application form and get it back to us ASAP! 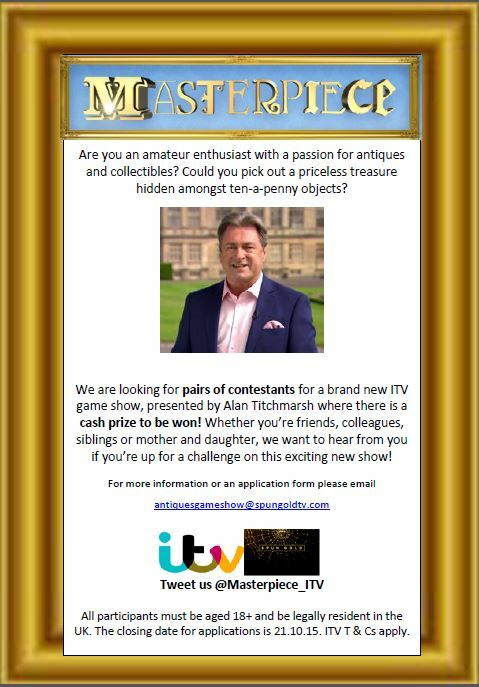 We are looking for pairs of contestants for a brand new quiz show presented by the one and only, Mr Alan Titchmarsh! Whether you’re friends, colleagues, siblings or mother and daughter, we want to hear from you if you’re up for a challenge on this exciting new show! Head the oil in a large flameproof casserole dish over a high heat. One hot add the beef chunks and fry until golden brown all over. If your dish isn’t big enough to accommodate all of the mean in a single layer, then fry in two batches. Once the meat is nicely browned all over, remove to a plate and leave to one side. Reduce the heat to medium and add the diced onion, crrots and celery. Fry the vegetables for 5-6 mintues until starting to soften. Add the bay leaves , dates and two 4cm strips of orange peel that can be easily removed with a peeler. Continue to fry for a further minute. Add the tomato puree and fry for a minute, stirring regularly. Increase the heat to maximum and add the red wine. Let the wine bubble away and reduce by three-quarters. Pour in the beef stock and return the browned meat to the pan. Bring the whole lot to the boil before reducing to simmer. Place the lid on top and put the casserole into the preheated oven. Cook for 1 and a half hours, by which times the meat should be tender. While the meat is cooking, tip the flour, suet and chopped herbs into a bowl along with a generous amount of salt and pepper. Mix together with a fork. Squeeze in the juice of half an orange and about half the water. Continue to bring the mixtures together with your fork, adding water as needed. You are aiming for quite a stiff dough. Divide the dough into eight, and roll into balls. Remove the stew from the oven and take off the lid. Drop the dough balls into the stew as evenly spaced as possible. Increase the oven temperature to 190C/gas 5 and place the dish back into the oven, without the lid. Continue to cook for a further 30 minutes, by which time the dumplings should have swollen up, absorbing plenty of the delicious gravy. Serve immediately to only your very closest friends. We need YOU on The AT Show! ARE YOU A KEEN FLOWER ARRANGER OR AMATEUR FLORIST? We are looking for people who have real flower power to join our fun feature on competitive floristry. 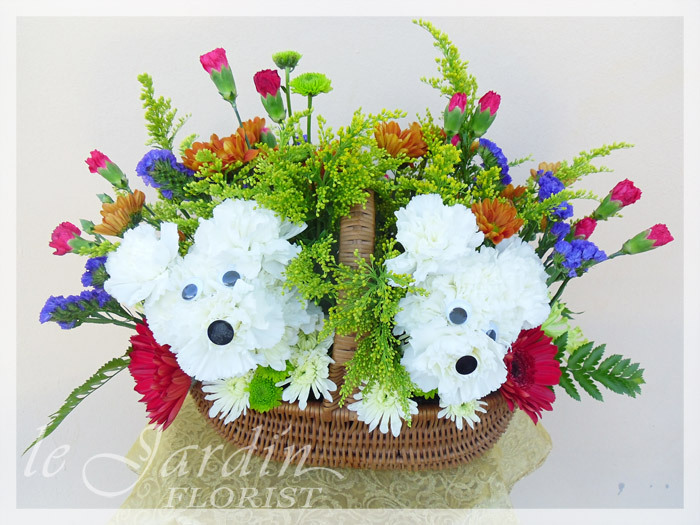 You’ll be given the challenge of making a flower arrangement to a theme within a time limit. Our florist to the stars Simon Lycett will be the judge. If you are interested please drop us an email with your details and a photo of one of your flowery creations. If you are chosen to be on the show we will arrange your travel for you. Email: alan@itv.com and please put FLOWER POWER as the subject headline. Calling all men! 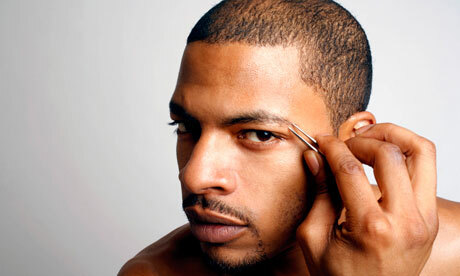 Are you a plucking metrosexual? Or do you just shower, shave and go? It was recently reported that 6 out of 10 young men feel pressured to remove or groom body hair – and a surprising fifth of all over-65s too. We are looking for men of all ages who are up for coming on the show next Tuesday to take part in our ‘Male Grooming Clinic’. You’ll be road testing the latest waxing, plucking and threading techniques live on the show! Please email us at alan@itv.com ASAP with a contact number and you could be with us in the studio this Tuesday! 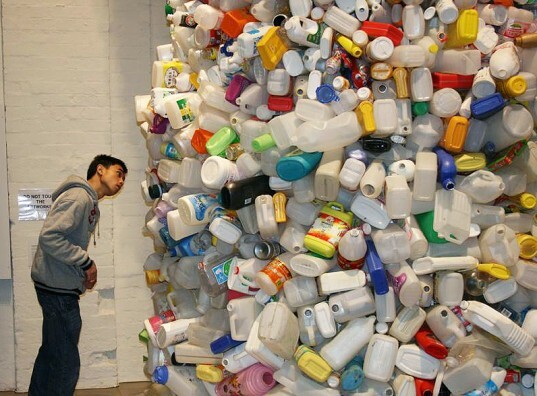 CAN YOU MAKE ART FROM RUBBISH? We looking for crafty types who can take recycling rubbish and turn it into useful objects or works of art. Does this sound like you? If so email us at alan@itv.com with a photo of your work and put RECYCLING ART in the subject headline. 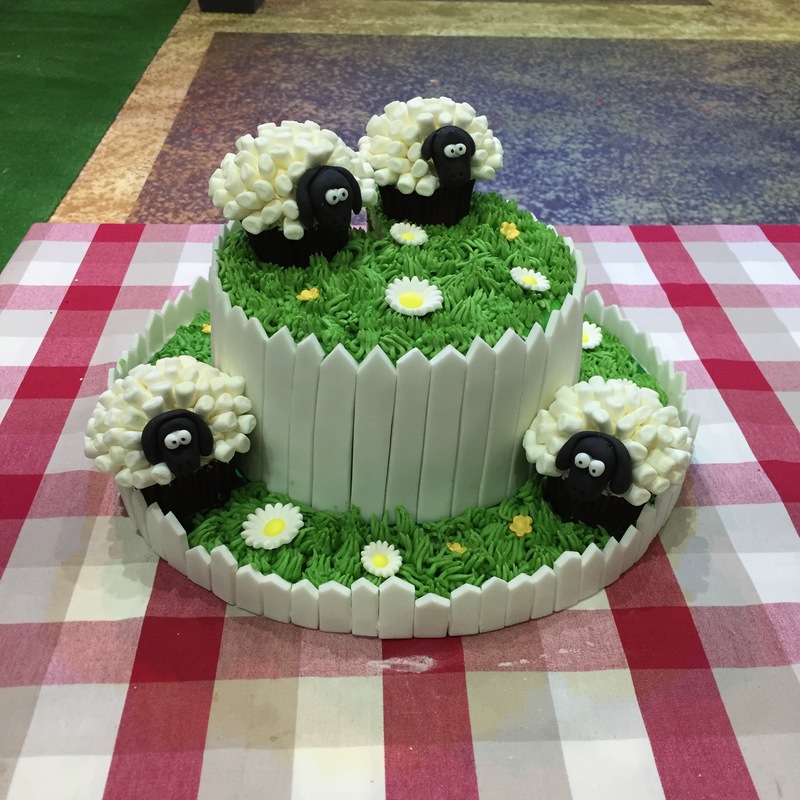 Alan’s Big Bake Showdown – Vote Now! 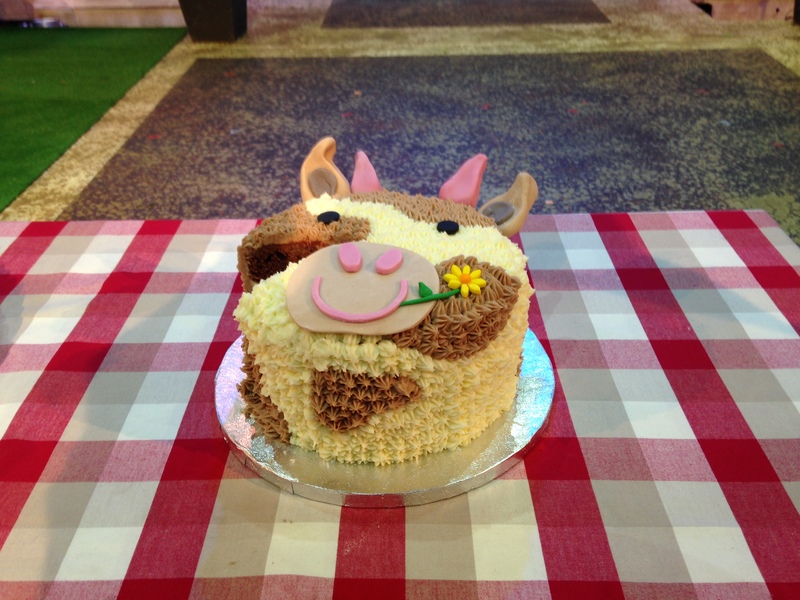 Which cake do you think is the best Animal Extravaganza? Place your vote in the poll below and check for the results in the Alan Titchmarsh Show ITV. Voting closes at 3.40pm today (Wednesday Oct 8th). If you’re watching the show on Plus One or Catch-up please don’t vote! On Wednesday’s show we’re talking about digestive health! Take our anonymous poll and tune in on Wednesday to hear what Dr Phil has to say about the results! This poll will close at 3pm on Wednesday. Have you got kitchen gadgets languishing in your cupboard? 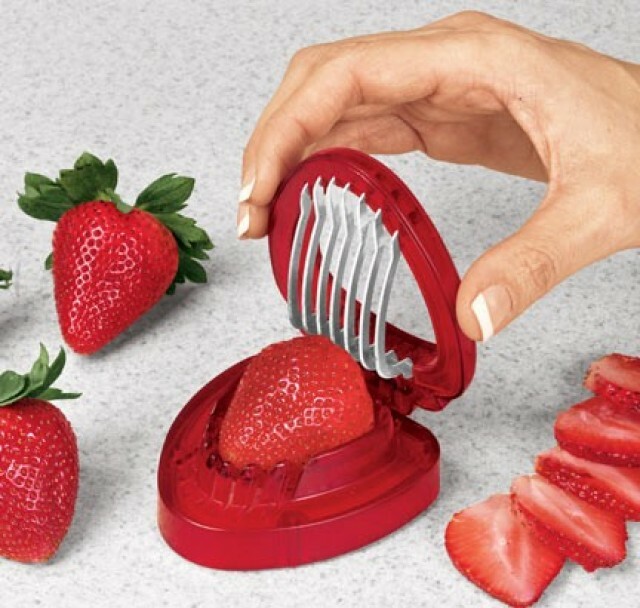 How often have you seen a really useful-looking gadget for the kitchen, purchased it, used it once and then put it away in the cupboard never to be seen again? Confess – we’ve all done it! Let us know which of the following you have bought but hardly ever used and let us know of any other gadgets you have hiding away…. We’ll be releasing the results on the show next week. Are You an Inventive Knitter? 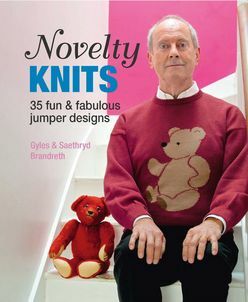 Gyles Brandreth is on the show today talking, amongst other things, about his novelty knits. So we thought why not challenge Titchmarsh viewers to create a special knit for Alan to celebrate his final series of The Alan Titchmarsh Show! 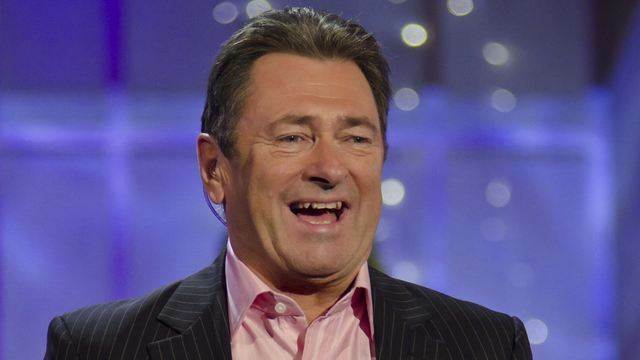 The Alan Titchmarsh Show, PO Box 64382, London, EC2P 2GJ. Closing date is Monday 27th October at 4pm. Please don’t send items after this date. Any items arriving after that date will not be eligible. We are sorry that we won’t be able to refund the cost of postage and we can’t return any of your items. If you’d like to have a go there are no age restrictions. Alan will choose his favourite item on the show that airs on Wednesday 29th October 2014.